It has arrived. The "Barr Letter," the much-anticipated sequel to the "Mueller Report," coming just two days after the final submission of the original report of the special counsel charged with investigating Russian collusion and obstruction of justice. Among the blockbuster conclusions are the determinations by Attorney General William Barr that there was no obstruction of justice by the president. Glaringly, Barr's letter quotes Mueller himself asstating that "while this report does not conclude that the President committed a crime, it also does not exonerate him." The text of Barr's summary is key. Barr may be offering hints within the text, and by what is also omitted in his letter. The president is not exonerated as to obstruction. The most significant inference for the House of Representatives is that the conduct could still be impeachable, even if it's not criminal. Barr makes liberal reference to the "Department (of Justice) standards governing prosecution and declination decisions," adding that he applied the "principles of federal prosecution that guide our charging decisions." Barr is essentially saying that there was "evidence on both sides of the question" of obstruction, but not enough evidence to conclude the President obstructed justice. That reference to the "principles of federal prosecution" is the first clue to understanding this conclusion. According to those principles that guide federal prosecutors, the "belief that a person's conduct constitutes a federal offense and (the) evidence will probably be sufficient to (convict) is not sufficient standing by itself to commence or recommend prosecution." To federal prosecutors, evidence "on both sides" is not necessarily probable cause to indict. Even where evidence does rise to the level of probable cause, those principles of federal prosecution stress that probable cause is "a threshold consideration only. Merely because this requirement can be met in a given case does not automatically warrant prosecution." Federal prosecutors require more than just probable cause. Reading between the lines, Barr could be saying that there was probable cause for a charge of obstruction of justice. 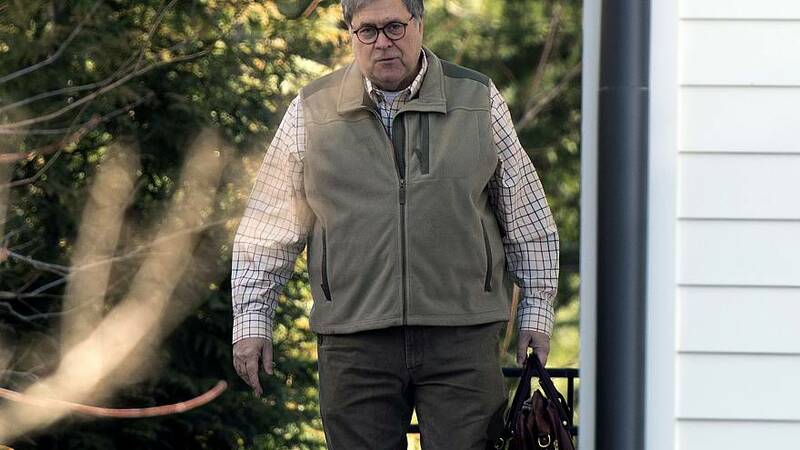 Because the principles of federal prosecution require more than just probable cause, the evidence might have failed the more stringent test of the principles of federal prosecution, which Barr took care to cite. Then there's the "Constitutional" issue. Barr's no-obstruction "determination was made without regard to, and is not based on, the constitutional considerations that surround the indictment and criminal prosecution of a sitting president." That's the long-standing Justice Department policy, based on a 2000 Office of Legal Counsel opinion, that a sitting president can't be indicted. Barr says he never reached that issue, which means that the obstruction issue was resolved without having to consider whether a president can be indicted. What about whether the president can obstruct justice? That's a completely separate issue — though it's easily conflated with the indictment issue. It also happens to be an issue to which Barr dedicated an unsolicited memorandum before he was the Attorney General. Barr concluded, among other things, that "simply by exercising his Constitutional discretion in a facially-lawful way - for example, by removing or appointing an official; using his prosecutorial discretion to give direction on a case; or using his pardoning power" a president cannot be accused of a crime. Because Mueller "determined not to make a traditional prosecutorial judgment" as to obstruction, that left it up to Barr. He made that decision, telling us in the letter that he considered the "principles of federal prosecution," (including those that require more than probable cause to indict), and never reached the issue of presidential indictment (but was silent on whether the president can obstruct justice). This can be understood from the text of the letter and, arguably, from what was omitted from the letter.